LinkedIn is the social network which comes doused with a bit of a scare-factor. While most of us will be familiar with Twitter and Facebook as places that inspire fun, care-free social interaction, LinkedIn appears to be the social network platform equivalent of Alan Sugar’s boardroom. It seems cold, serious and extremely professional. In some ways this is true. 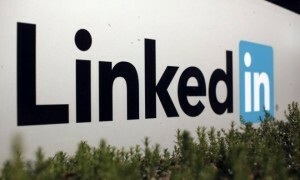 LinkedIn originally marketed itself as the network for professionals and for businesses. The kind of content that’s posted there (on the whole) is more mature and less cavalier. The reason for this is that people are using it as a networking tool, or a direct platform for business opportunity, as opposed to a somewhere where they can pitch in on the latest internet meme and connect with their audience. Perhaps then, it’s best to summarize LinkedIn as a social network intended for B2B (business to business) communications, as opposed to B2C (business to customer). With this in mind, you should try your best to fit in and adhere to the hidden etiquette that lies within LinkedIn. Now that you’ve gone to all the hard work of setting up your network, you shouldn’t forget to link your other media sites to it. What’s the point of going to these great efforts if you don’t maximize your exposure to as many others as possible. You might even be responsible for others joining LinkedIn; all just so they can connect with you!